Atletico Madrid coach Diego Simeone has hailed Borussia Dortmund as one of the "best teams in Europe" ahead of the two sides' UEFA Champions League rematch at the Wanda Metropolitano on Tuesday. 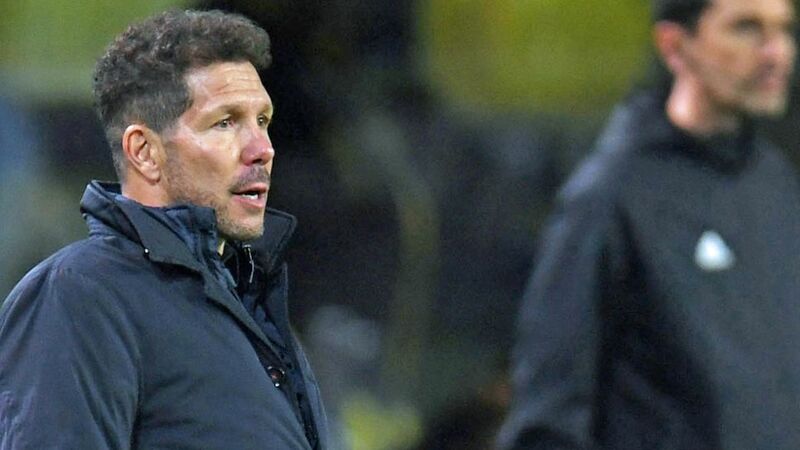 Simeone suffered his heaviest defeat since taking charge of Atleti in 2011 as BVB ran out 4-0 winners over the Los Rojiblancos in Dortmund a fortnight ago. The Bundesliga leaders have since extended their unbeaten start to the 2018/19 season to a club-record 15 matches in all competitions. "Dortmund are one of the best sides in Europe at the moment - that's why they're top of the Bundesliga and unbeaten in the league and Champions League," said Simeone, a Champions League finalist with Atletico in 2014 and 2016. "They were forceful [in the first match], and counter-attacked perfectly. We couldn't do much about it." That's putting it mildly. Outplaying one of Europe's toughest customers, Dortmund blew Atleti away at the Signal Iduna Park in a blistering display of attacking football at its finest. Axel Witsel's deflected goal put the Black-Yellows in the driving seat, before second-half goals from Raphael Guerreiro (2) and Jadon Sancho completed the rout. Three points clear at the top of Champions League Group A with maximum points from their first three matches, Lucien Favre's swashbuckling troupe will seal qualification to the competition's last 16 if they avoid defeat in the Spanish capital. "[Lucien Favre] is doing a great job," Simeone continued. "He's got the youngsters playing a certain way, and it's working wonders for the team. They're playing spectacular football, and they're four points clear of Bayern Munich. If they keep it up, they've got a real chance of winning this season's Bundesliga." After Atleti, Dortmund play host to defending champions Bayern in Der Klassiker on 10 November. Click here for team news and live match coverage of Ateltico vs. Dortmund!